We’ve got the 5 mistakes you need to STOP making to take your automotive SEO to the top ranks in 2019. Read below and learn what to avoid. Back in the day, an automotive website with images of new and used cars may have worked and got you more customers. Not anymore. Well, with search engines like Google seeing 33 million searches a day (that’s about 100 billion searches a month), it’s quite clear where your next few customers are likely to come from. 70% consumers, who research cars turn to search engines before they head out to a physical car dealership. This should be reason enough to get your automotive website search engine optimized. But if you’re still not convinced that Automative SEO is a great strategy to look into, you’ll probably want to take a peek at the following astonishing SEO myths that have plagued the automotive industry. Let’s pull back the veil, shall we? This cannot be further from the truth. Quite simply, as long as search engines exist, SEO will be necessary for your business. Browsing and searching online is how consumers today access first-hand information, make purchasing decisions and (quite frankly) learn about the world around them. Whether they go through local restaurant menus or want some information about car servicing centers, they will turn to search engines. To make things completely clear: keyword stuffing and building irrelevant links are definitely not tactics experts recommend. In fact, if you’re using these techniques to improve your online presence, then you’re certainly not getting any results from them. Amongst many Google updates, it’s always been quite clear that an effective SEO strategy is focused on building a complete brand image for your target customers. Your website needs to create an informative experience for your consumers. You need to help your prospective customers find you easily via your website, Foursquare, Facebook, Instagram, Twitter, Google My Business and other such reputed directories. You need your customers to interact with you via social channels. With every algorithm update, these engagement signals are becoming increasingly important. The moment you’re able to create this experience for your customers, you’ll end up creating a direct path to success. What most people don’t realize is that SEO is an ongoing strategy. There’s never going to be a time when a website will rank well on the search engines without continuous SEO effort. Think about it like working out. When you work out every day, you become fit. SEO is like working out for your website. It needs consistent strategy implemented! And needs links built continuously. The intensity of the strategies may differ based on how the website is performing, but the effort remains constant. It’s an ongoing process that is able to build equity in your brand as well as your website. You may have heard of the Google updates – Panda, Penguin, Pigeon, Hummingbird et al. Such updates have completely changed the way search engines look at websites today. So, having an expert at hand will ensure that the SEO on your automotive website conforms to the ever-changing best practices. We are well aware of which web updates will benefit your site. Adding new blog articles, creating an effective user experience, and testing landing pages are just a few things we pay attention to. No doubt, to determine the success of any marketing campaign, positive ROI is the measurement. That being said, it’s unrealistic to expect a huge ROI in a short-term SEO campaign. But, in the long run (the run that’s associated with ongoing optimization), you’ll be able to gain a correlative as well as a measurable ROI that will directly impact your bottom line. So, how can SEO help in the long run? Once you’re able to establish yourself as an authority in the automotive industry through SEO, it’s very hard to be dethroned. Using metric-driven goals in Google Analytics, form submissions, behavior funneling to product pages and click-to-call conversions can all be used to track and report the standing of your website in the search engines. You may be investing in offline marketing and advertising, but if you don’t have SEO in the mix, then you’re potentially ignoring a huge market. Hence, ongoing SEO is a crucial part of any successful marketing campaign. There are many who still believe quantity over quality is the way forward. So they feel that amassing a number of backlinks to their automotive website from irrelevant sites will work for them. Honestly, this tactic is not only outdated -it’s also quite dangerous! Google’s Penguin algorithm update deliberately targeted multiple sites that engaged in this unnatural link building process and penalized them. In fact, many sites who were ranking well in the search engines suddenly found that their sites were nowhere in the vicinity of where they were before the update. So, quality trumps quantity anytime. Using strategic content marketing and linking naturally to relevant websites will ensure your brand presence online. Writing your own content and updating your website’s blog is possibly the best thing you can do to help your site perform well in the search engines. That being said, if you haven’t been able to see any significant results, then there could still be some gaps in your content development strategy and blogging. You need to keep in mind that blogs are just one part of the puzzle. Content comes in a lot of forms; from meta tags, keywords, image alt text, new landing pages to image overlays. When you have an SEO professional helping you and guiding your SEO efforts, you’ll be able to create a well-planned content strategy and enhance your presence in the search engines. While blogging may involve researching on Google Trends in the automotive industry and picking a topic that has some relevance and volume, social messaging revolves around your site’s identity and brand voice. 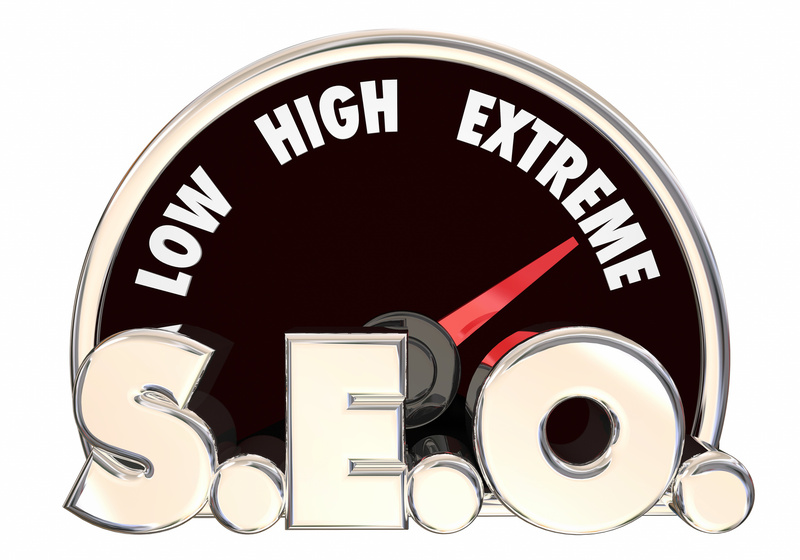 These are just some of the things that an experienced SEO professional can help you with. Why not contact one today and get your automotive site the TLC that it deserves?